At the centre of all services provided by Vestinex resides the underlying requirement to firstly assess and rate business risk prior to development of strategies, policies and frameworks. Vestinex utilises a business risk assessment process across all our operations based on best practice standards to ensure that we identify as best as is practicable those risks which our clients, and indeed ourselves face in day to day business. Vestinex can assist you to undertake comprehensive business risk assessment, to identify processes interdependences and to risk rate your organisation or individual business processes or concerns as required. We can then assist in the development of potential response strategies to minimise those risks including the ongoing management and monitoring of emerging risks. 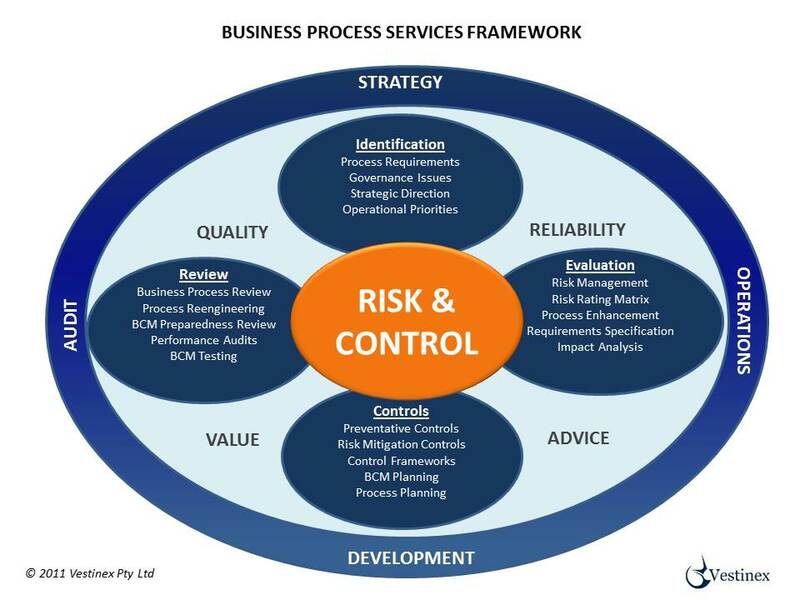 Our methodologies for the completion of our Risk Assessment Services are structured upon best practice industry standards ISO 31000 and cover all essential elements of the process. Vestinex staff work with our valued clients to identify critical risk factors and root causes so that strategies can mitigate the identified risk. For more information please contact us to discuss our Risk Management Services.